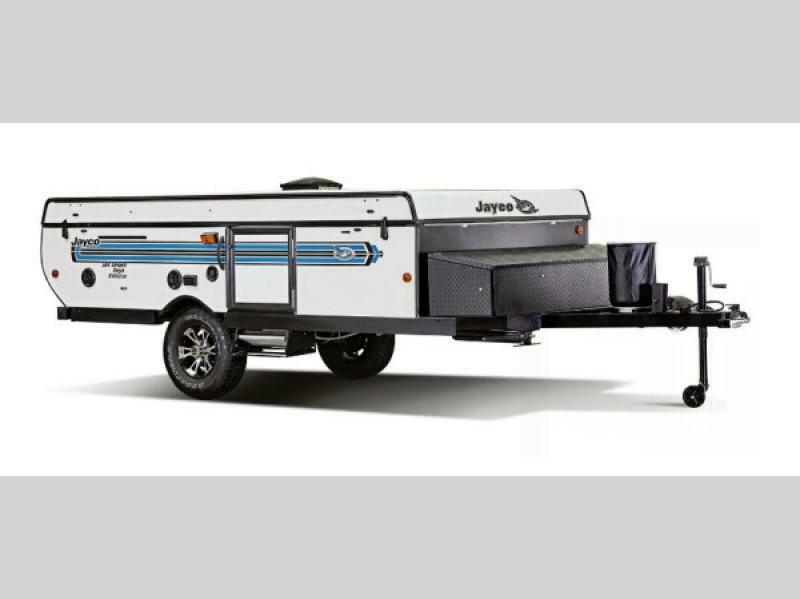 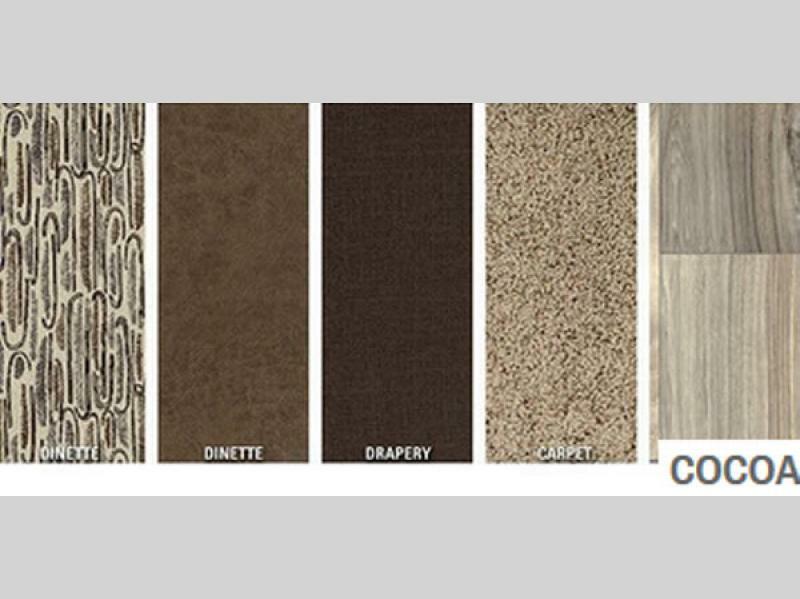 This line of Jay Sport camping trailers by Jayco is the answer to your traveling needs. 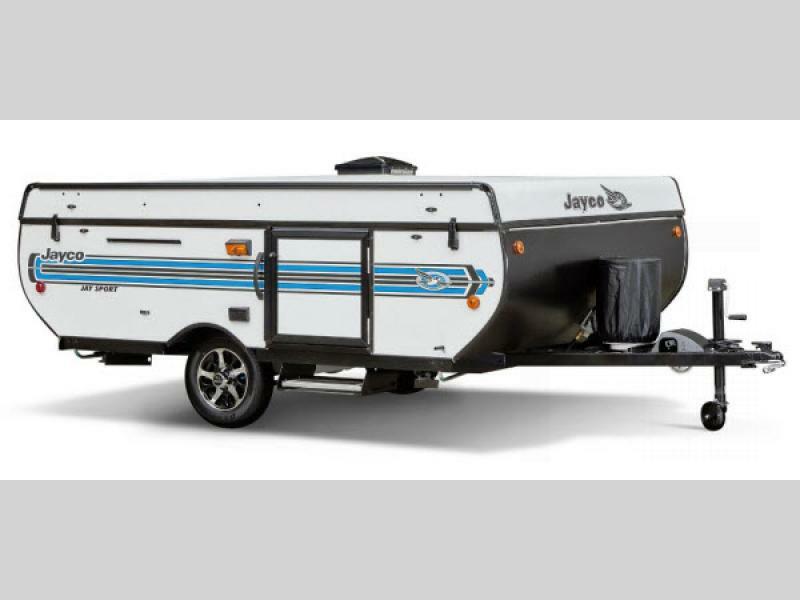 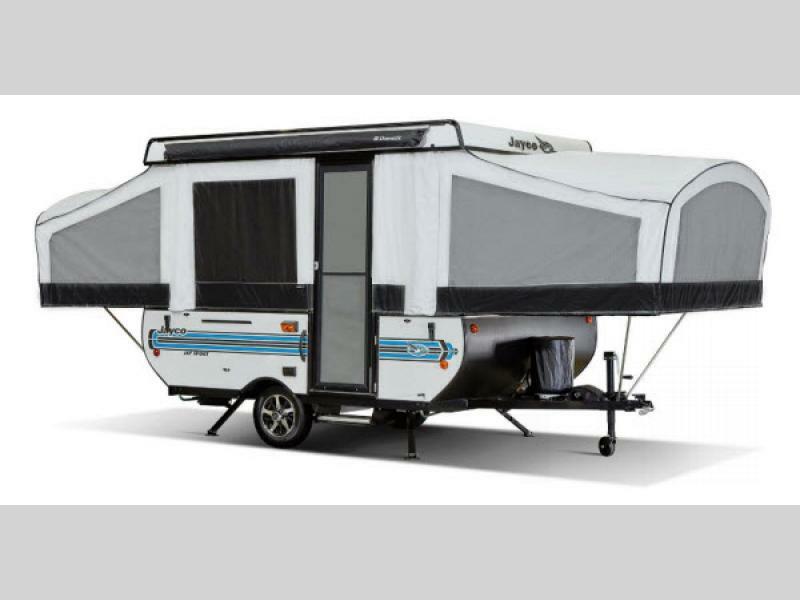 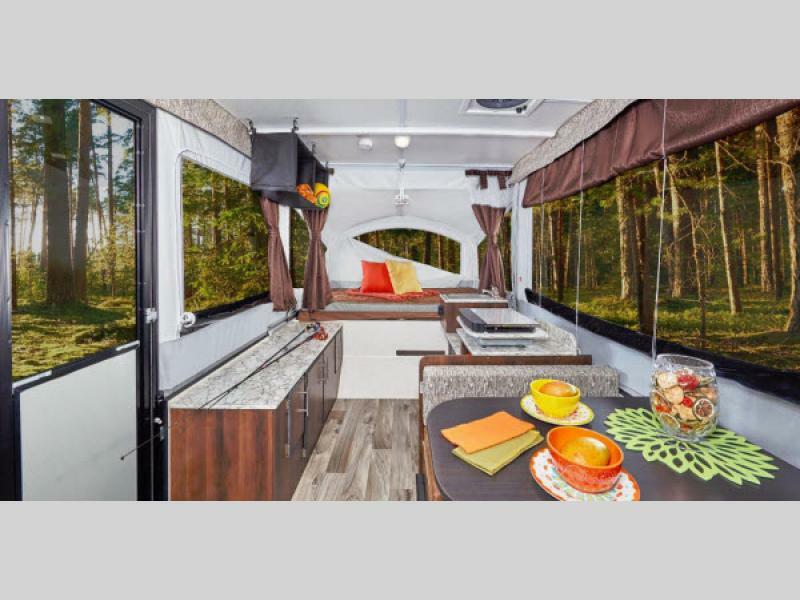 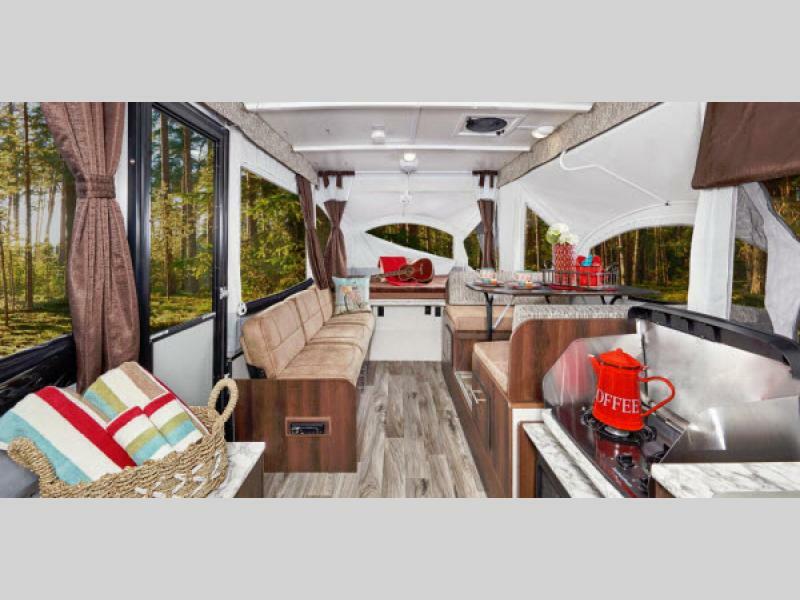 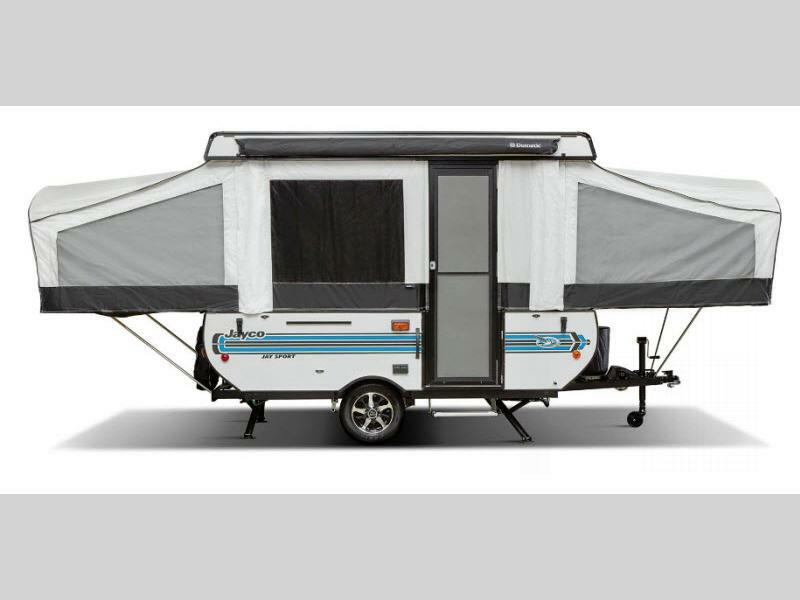 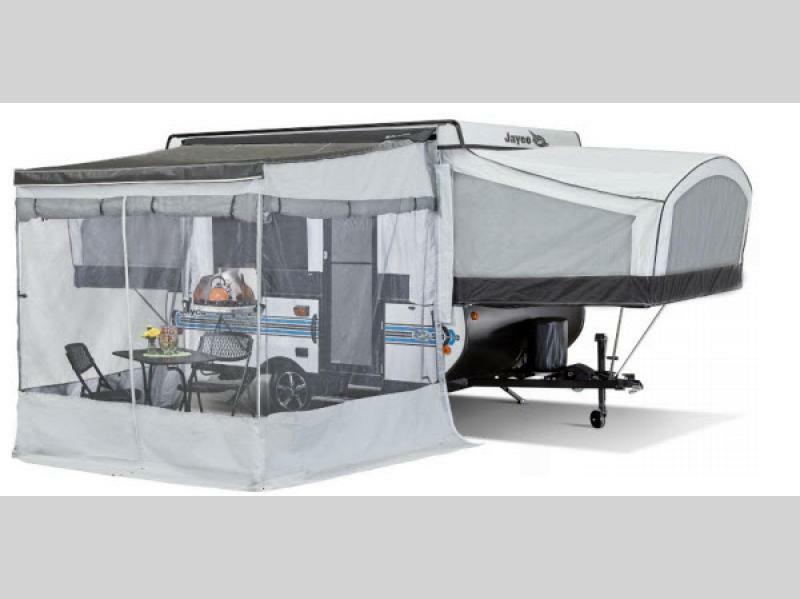 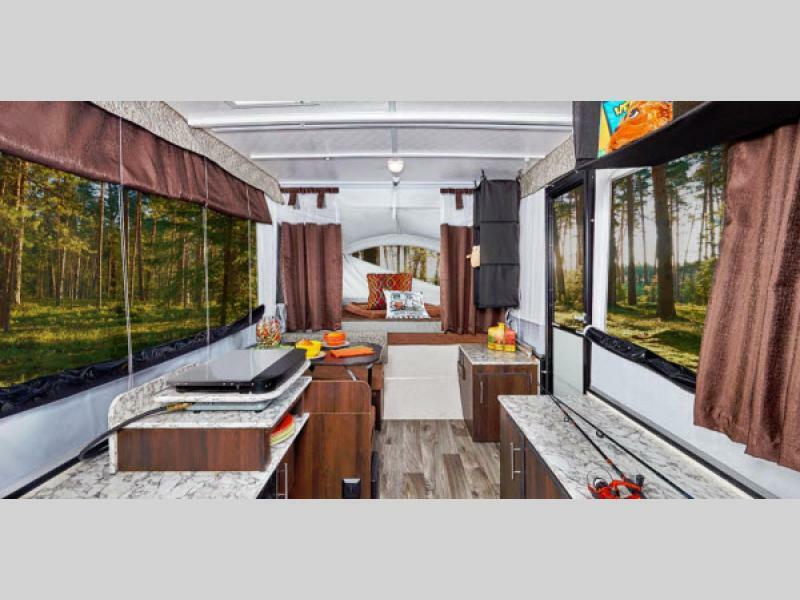 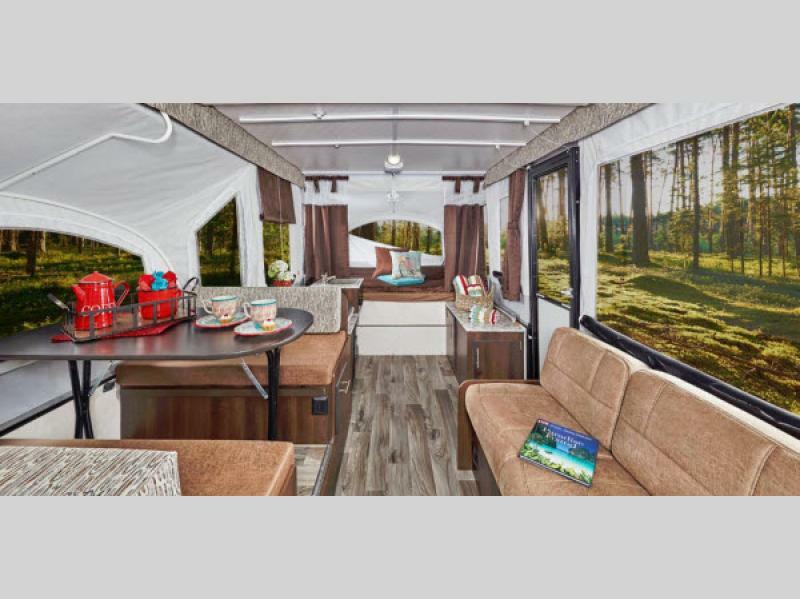 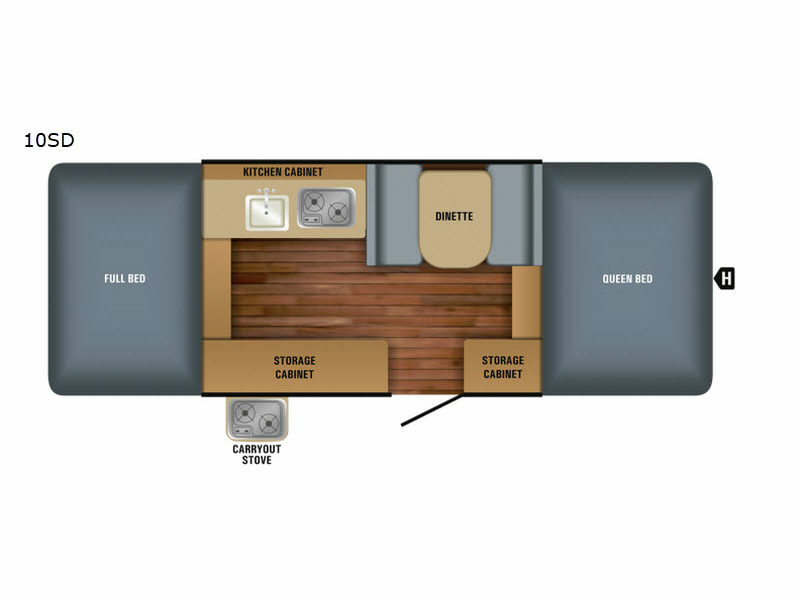 The Jay Sport is your camping oasis because it is a solid and reliable camping trailer with stylish amenities that has been built upon quality craftsmanship. 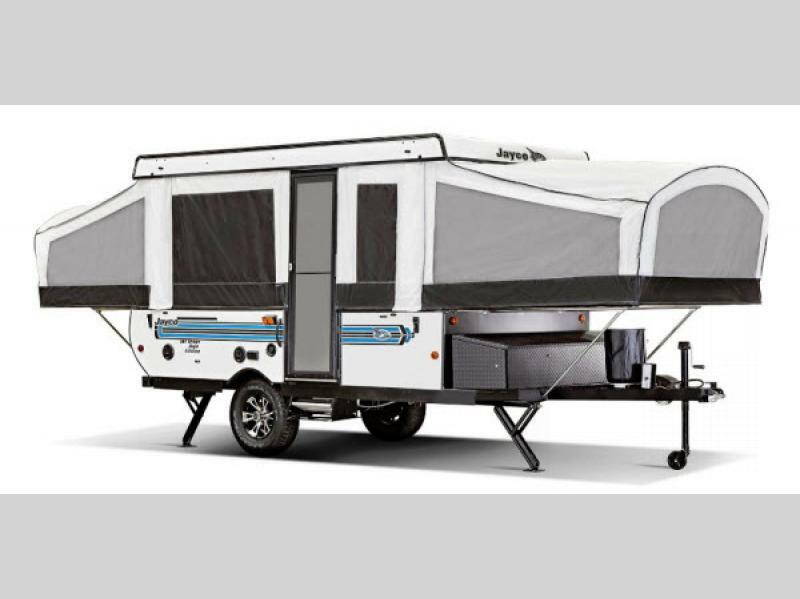 Jayco starts upon a firm foundation with its integrated A-frame that has been specially crafted to prevent corrosion and buckling. 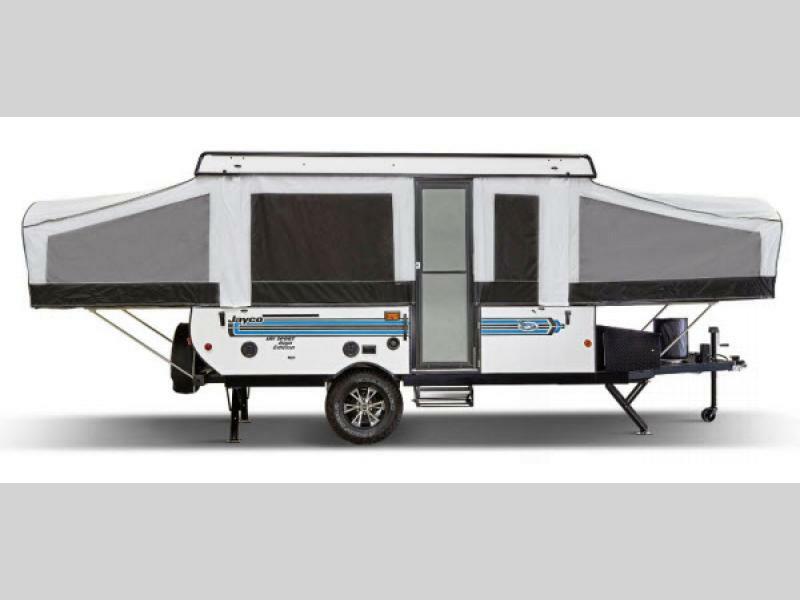 The extra-wide lifter posts and flexible push rods give this trailer a lifter system that is made to last, and the one-piece wooden floor deck with water-resistant Poly Flex material is known as the strongest in the industry.